KB Heating & Air Conditioning Ltd. is a locally owned family business, serving Southern Alberta and the surrounding area since 1983. Our fully licensed and bonded plumbers, gas fitters, sheet metal and refrigeration mechanics, welders and service technicians meet all the needs of Residential, Commercial and Industrial customers. Our strong and experienced team offers a fully integrated, one stop shop for plumbing, heating, metal fabrication, refrigeration and 24 hour service. Thinking Green is on top of KB Heating and Air Conditioning’s list of priorities to supply, install and maintain high efficient and low emission heating, cooling, and plumbing appliances and products. We strive to reduce natural gas, water, and electrical consumption by not only installing and servicing energy efficient equipment but by helping educate the home or building owner on how to reduce consumption to match their heating or cooling requirements. 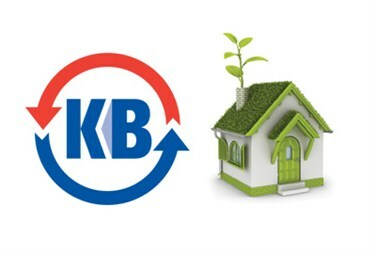 From low flush toilets and waterless urinals to Solar hot water and Ozone friendly refrigerants - you can trust KB Heating and Air Conditioning to help you reduce our environmental carbon footprint.